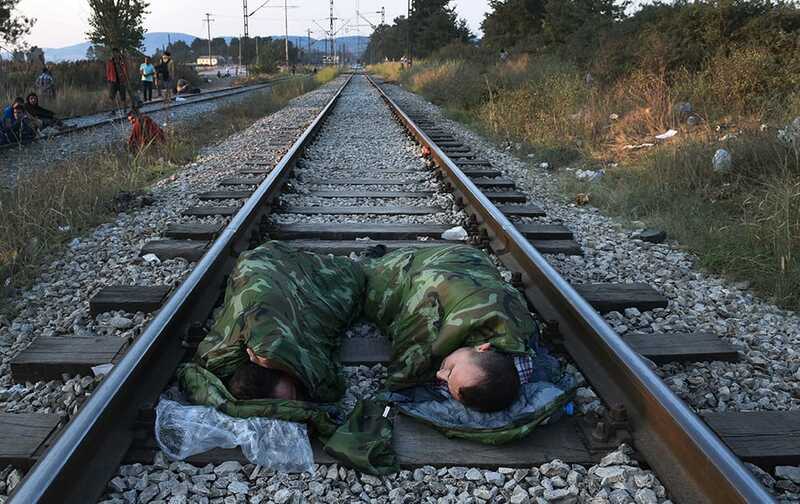 Syrian refugees sleep on railway lines near the train station of Idomeni, northern Greece. An aide holds an umbrella as Thuingaleng Muivah, leader of the Isak-Muivah faction of the National Socialist Council of Nagaland, walks at a civic reception accorded to him in Dimapur. 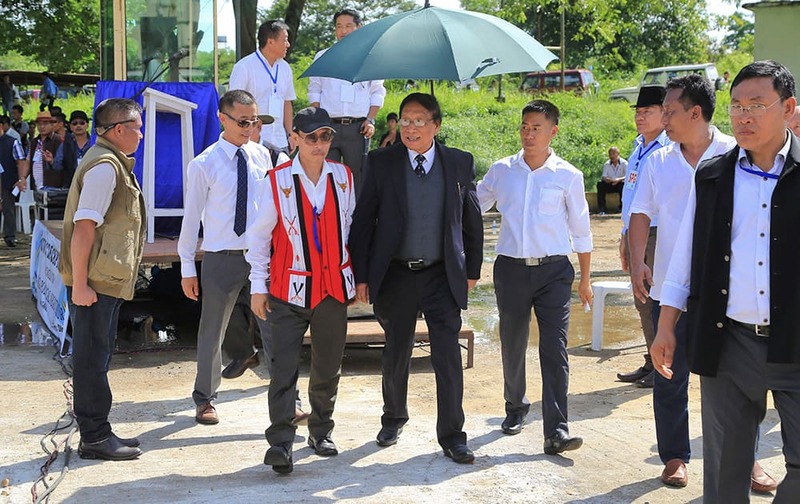 Muivah, leader of a key rebel group in the country's insurgency-wracked northeast returned to Nagaland Wednesday after he signed a peace treaty with India's government on August 3. 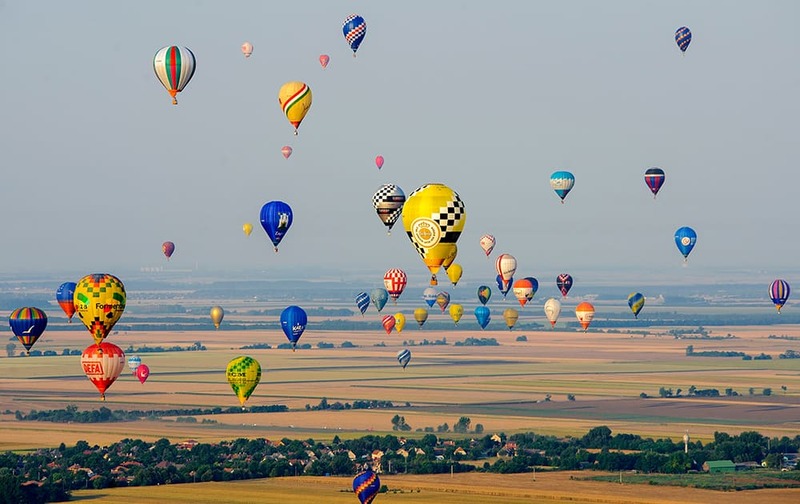 Hot air balloons fly during the 19th FAI Hot Air Balloon European Championship in Debrecen, 226 kms east of Budapest, Hungary. 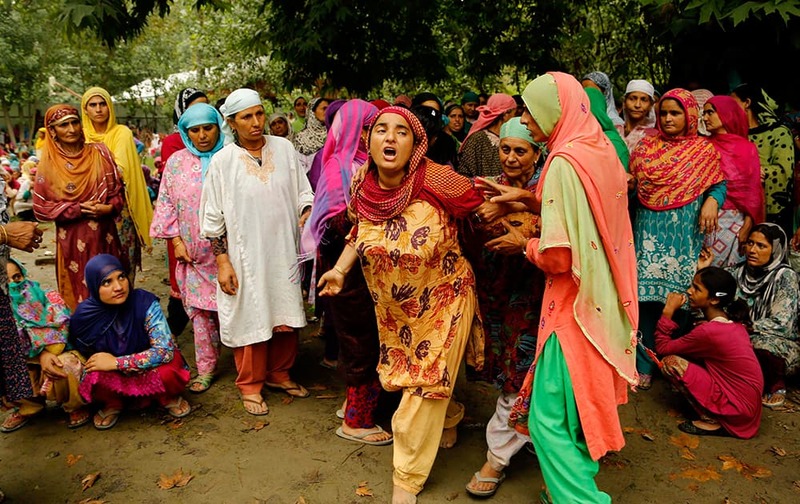 Unidentified women comfort the mother of civilian Bilal Ahmad, as she wails during a funeral procession at Awantipora, from Srinagar. 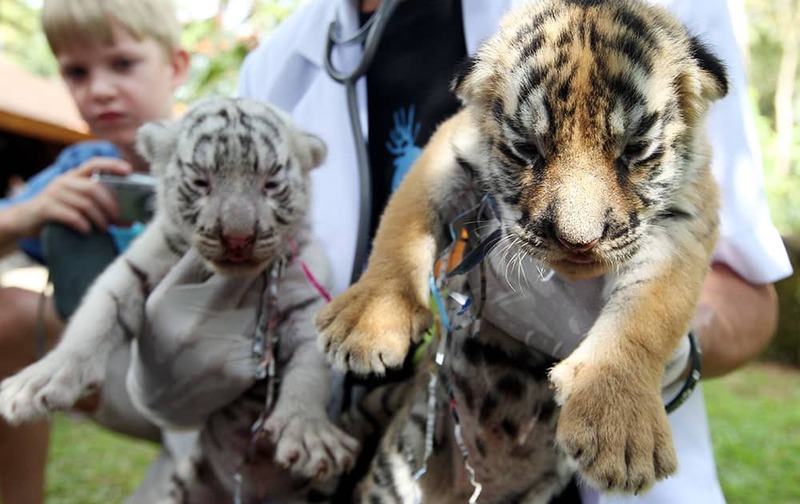 Tiger cubs are held by a zookeeper at a Bali zoo in Indonesia. 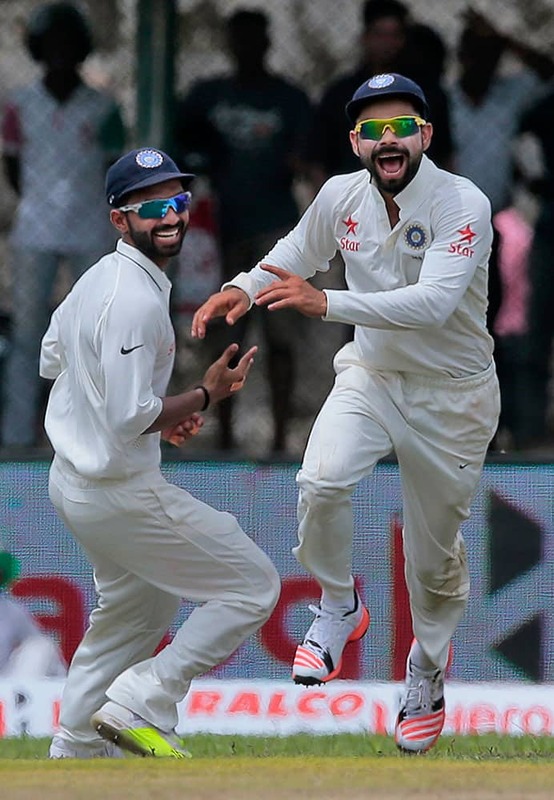 India's captain Virat Kohli, right, celebrates with teammate Ajinkya Rahane the dismissal of Sri Lanka’s Kaushal Silva during their first cricket test match in Galle, Sri Lanka. 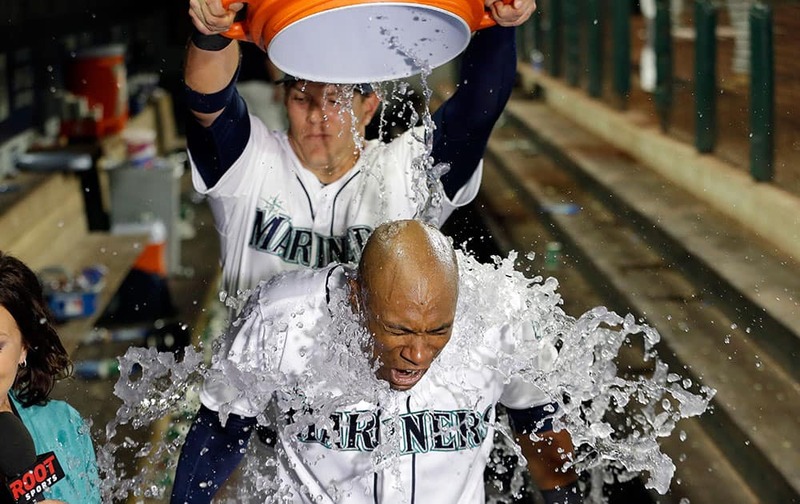 Seattle Mariners' Austin Jackson is hit with a bucket of water by teammate Logan Morrison as Jackson is interviewed after hitting in the winning run against the Baltimore Orioles in the 10th inning of a baseball game in Seattle. 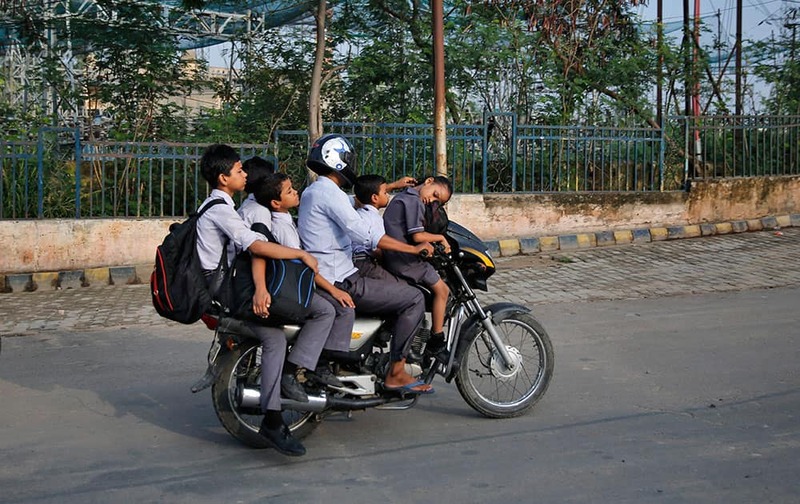 A girl sleeps as a man rides a motorbike to drop Indian children to school in the morning in Lucknow, India. 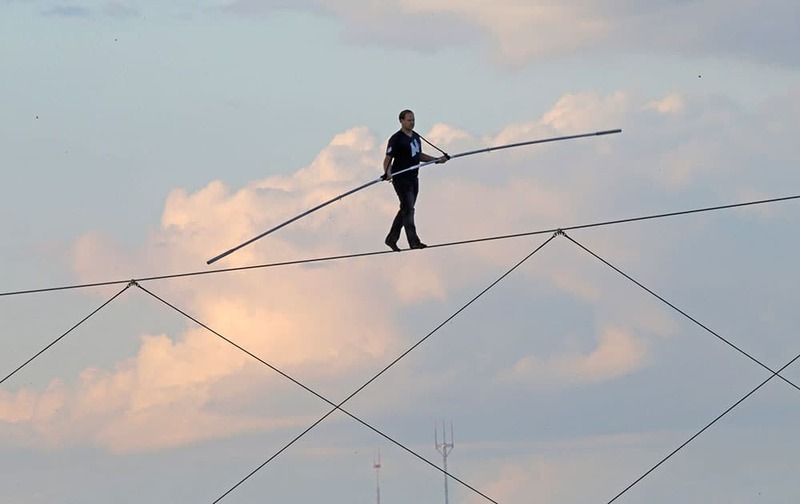 Performers wait to participate in a ceremony before the UEFA Super Cup soccer match between FC Barcelona and Sevilla FC at the Boris Paichadze Dinamo Arena stadium, in Tbilisi, Georgia. 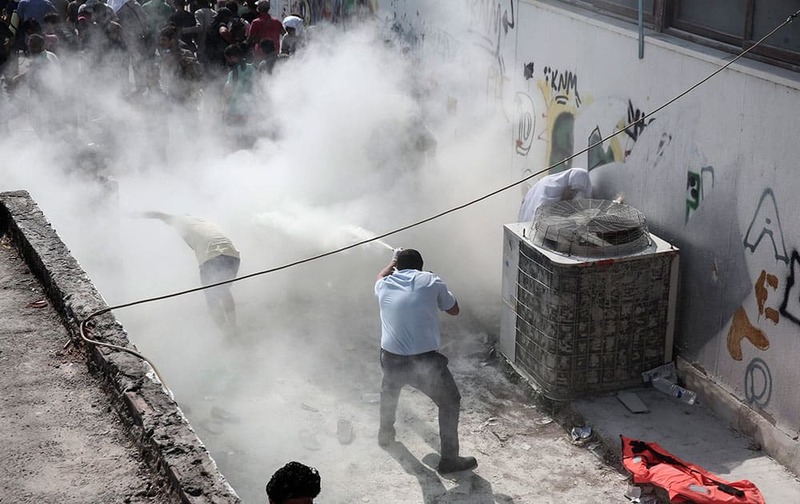 A policeman tries to disperse hundreds of migrants by spraying them with a fire extinguisher, during a registration procedure which was taken place at the stadium of Kos town, on the southeastern island of Kos, Greece. 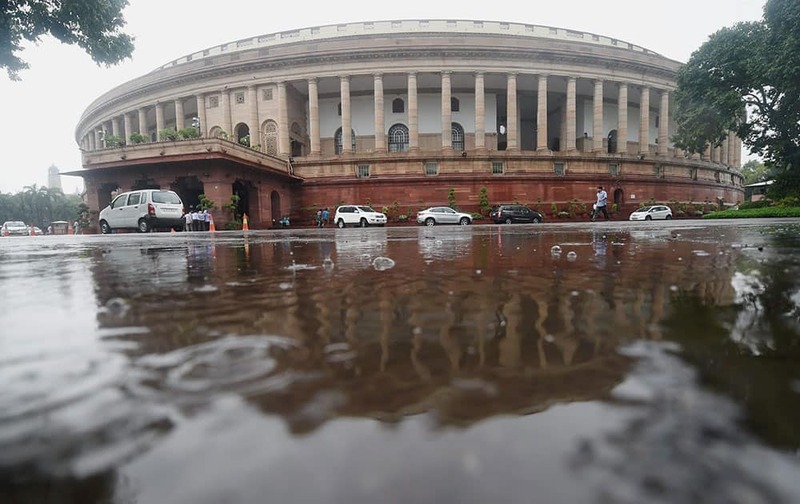 Waterlooging at Parliament during rains in New Delhi. 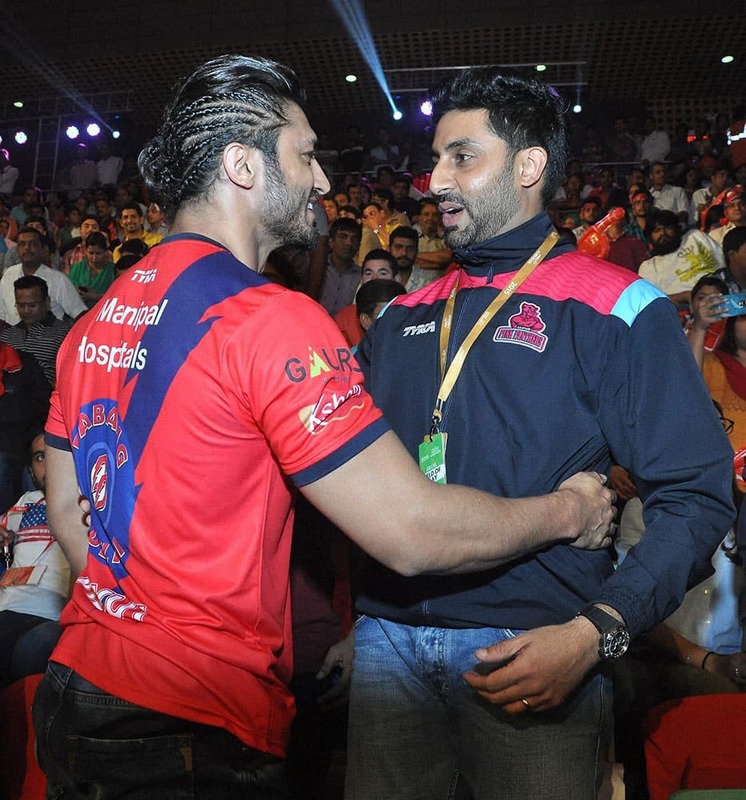 Bollywood actor and owner of Jaipur Pink Panthers team Abhishek Bachchan with actor Vidyut Jammwal during the pro Kabaddi match between Dabang Delhi and Telugu Titans, in New Delhi. 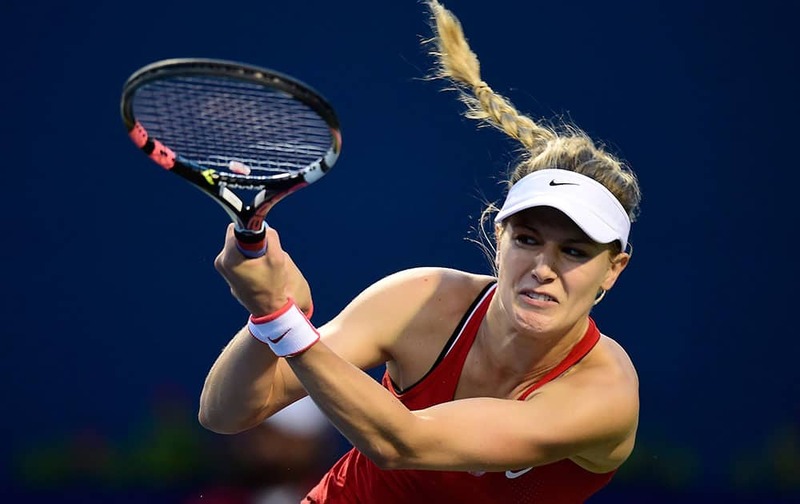 High-wire daredevil Nik Wallenda walks a tightrope above the Milwaukee Mile Speedway at the Wisconsin State Fair in West Allis, Wis.
Eugenie Bouchard, of Canada, returns to Belinda Bencic, of Switzerland, at the Rogers Cup tennis tournament in Toronto. 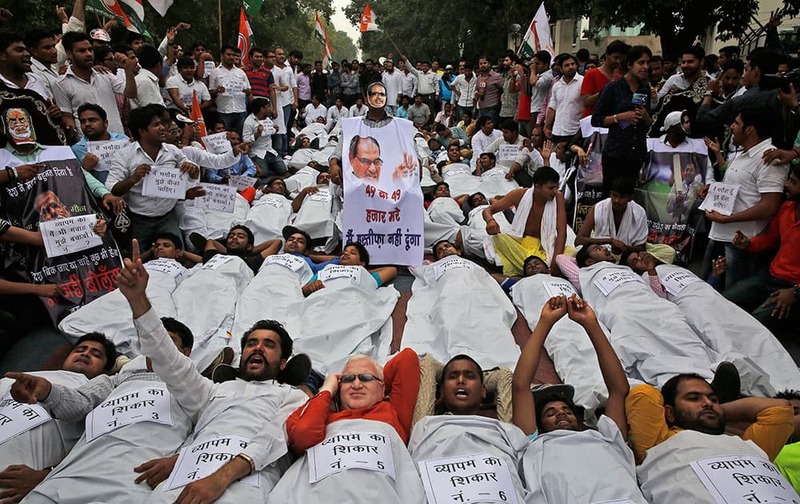 India’s opposition Congress party’s youth wing activists shout slogans demanding the resignation of three key ruling party leaders accused of abusing their authority and financial irregularities during a protest near the Indian Parliament in New Delhi, India. 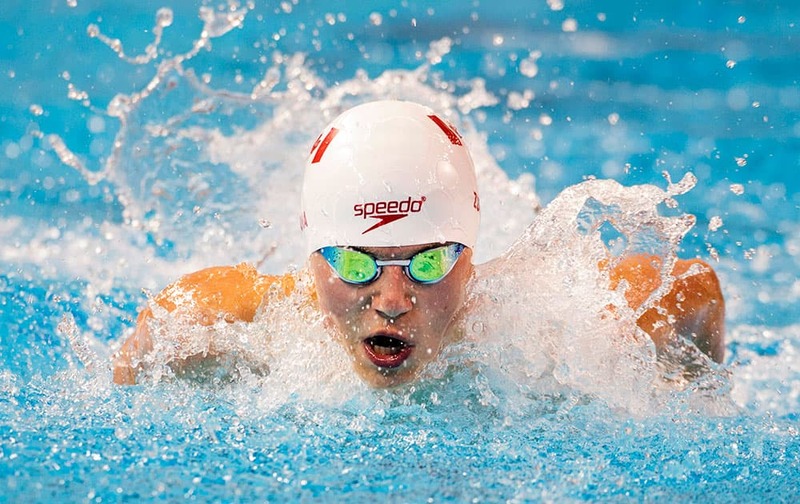 Zach Zona, of Canada, competes on his way to winning the bronze medal in the men's 200-meter IM SM8 final at the Parapan American Games in Toronto.